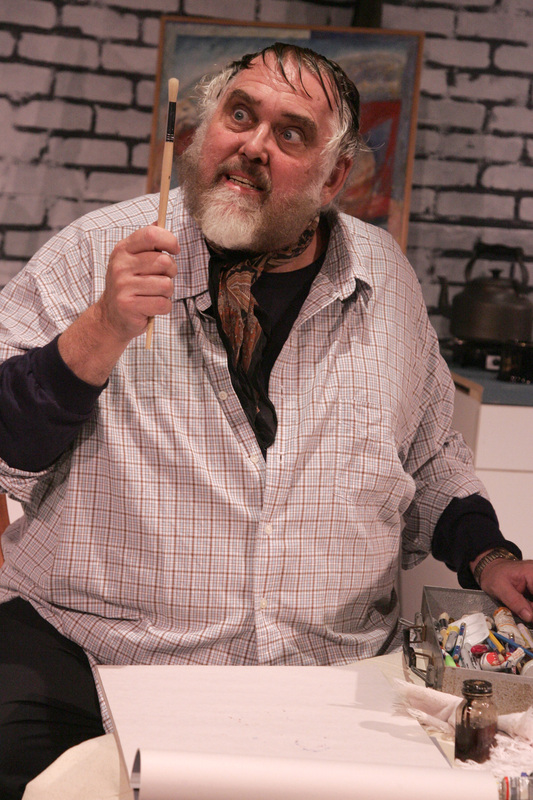 "Brochu seems almost fatefully destined to play Mostel, not only because he knew Mostel and can bring a deeply personal perspective to his portrayal, but because he is an almost uncanny physical match for his subject. In a subtly bombastic turn, Brochu reintroduces us to the funny, fantastically contrary Mostel. In all his biting intelligence and imperfection, he has been sorely missed." 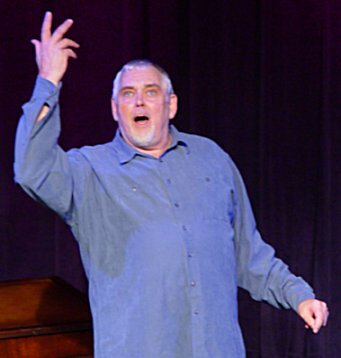 "It takes a big man to fill the shoes of the late Zero Mostel and Jim Brochu slips into those loafers perfectly in "Zero Hour," his brilliant portrayal of the Broadway titan." "Brochu bats a thousand with Zero Hour. The swagger, ferocity, anger, frustration, but mostly the comedic genius of Samuel "Zero" Mostel as played by Jim Brochu comes to life in the West Coast Jewish Theatre's production at the Egyptian Arena Theatre. Mostel seems to inhabit Brochu, and that force, those big eyes, that hammering voice is all evident in this excellent portrayal. We never fail to see Zero the comedian, the clever, witty, sarcastic fellow who carries large chips on his shoulders, yet dispenses his lines with an ever-present sense of humor. At no time can you look away, for you are mesmerized by Brochu's words, gestures, and eye contact. 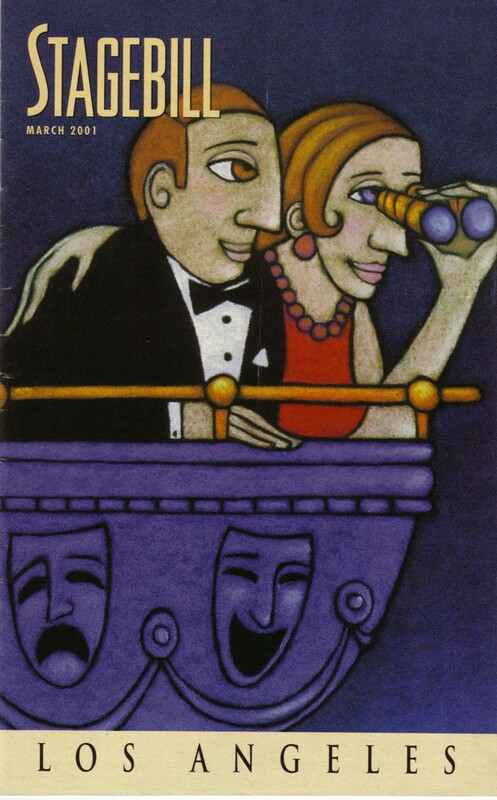 His highs and lows, his screams and whispers, his deliberate movements or stationary moments while drawing, sketching and painting are all so well-directed by Paul Kreppel that we are kept on the edge of our chairs." "Wisely, Brochu avoids impersonating Mostel. There are physical resemblances between the two men, but Brochu realized a too-boisterous portrayal would likely be overbearing, for the same reason Hollywood producers worried that Mostel's persona would look too oversized onscreen. Nonetheless, Brochu captures the all-important wild-eyed look and the actor's idiosyncratic outbursts are fully credible." 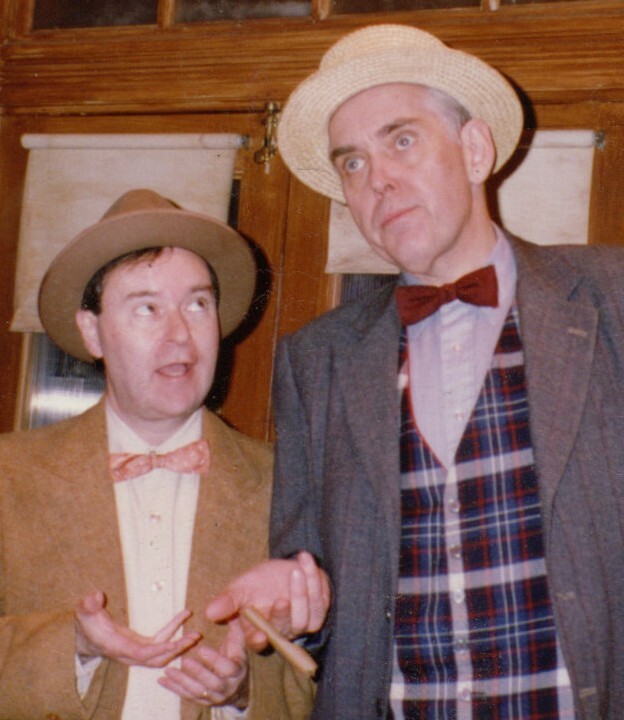 "Brochu admirably embodies the flamboyance, mood swings and dead-on comic timing of this legendary yockmeister." "Jim is a dazzling showman from the word go. He can command an audience with word and song." "This gifted comedian knows how to use a look, body language and comic inflection to work an audience from a chuckle to a rolling laugh to a roar." "Brochu knows how to tell a story; he keeps the audience in stitches as he regales them with tales of his past." "Jim Brochu is simply hysterical." "Jim Brochu's incredible theatrics are not to be missed." "Brochu is a natural raconteur." "Brochu has a magical gift for reaching into people's souls." "Tevye is as good a role as can be found in musicals and Jim Brochu is simply terrific in the part. His voice is good but his unbelievable comic timing is what knocks us out. Whether talking to God, trying to pull a fast one on his wife or getting drunk with the local butcher, Brochu's Tevye is a wry, sentimental and indefatigable Everyman, counting his blessings and banes." Jim Brochu as Tevye brings the role a sureness and sensitivity. He plays the poor dairyman with a wonderful combination of tenderness and chuzptah. His monologues with the Almighty produce some of the most memorable moments of the play. In one scene he begins a divine conversation only to realize he's carrying a bottle of schnapps. Quickly he hides the bottle behind his back before he continues. In another very poignant scene, upset because of the pogroms, a daughter's intermarriage and the hard life of those who eked out a living in the shtetl, he wordlessly reaches out his hand to the Lord, protesting while seeking solace. These deeply touching acts are counterbalanced with a robustness of spirit which Brochu exudes. His large frame and handsome bearded face dominate the stage, and his flashing eyes, dark eyebrows and expressive long-fingered hands are used to the best advantage in most dramatic ways." "David L. Lander and Jim Brochu are getting screams in the Colony Studio Theatre's ace revival of the Hecht-MacArthur classic, "The Front Page." "Among the denizens of the courthouse press room, Jim Brochu stands out with his distinctive twang." 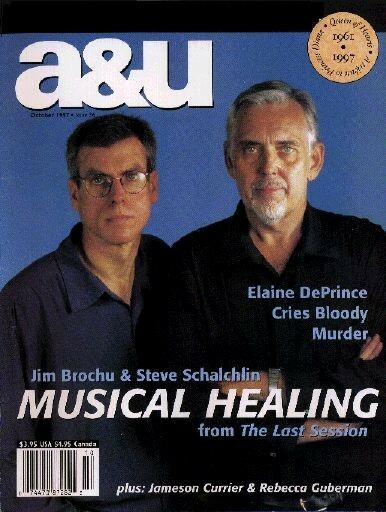 "Jim Brochu's caustic, nasal delivery scores every time." 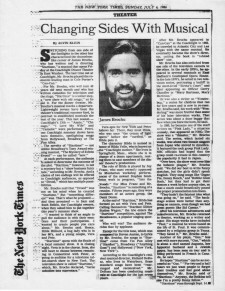 "The Front Page is very well cast, especially Jim Brochu as the sardonic McCue in the press room."